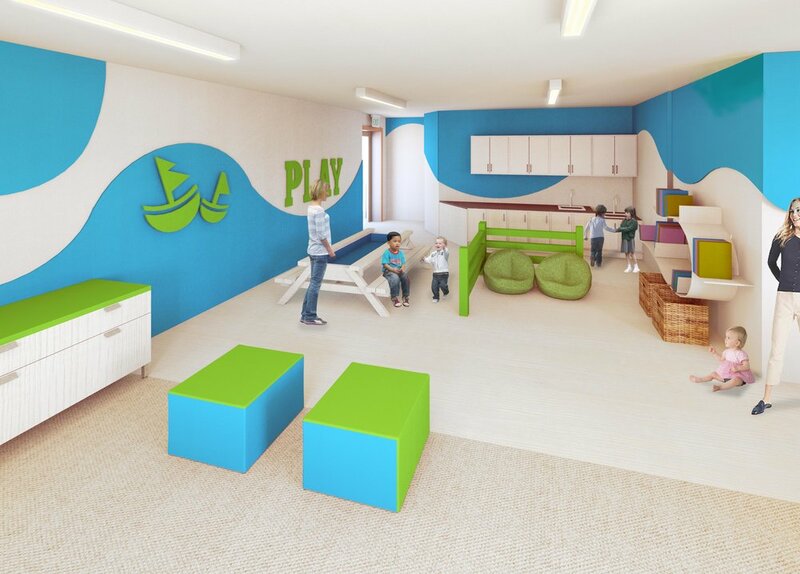 The Greenapple Daycare Humbercrest is a unique project as it is located inside an existing, century-old church. The project presented an interesting challenge with regards to flow and interior layout. As most of the exterior walls are under heritage protection and many partition walls were part of the church’s structure –made of heavy rocks, concrete and timber—careful considerations were needed to be taken with the overall design approach. Celebrating the history of the building, the design concept aimed to allow for a functional and inspiring interior and exterior learning and play space for the children. The existing windows needed to be maximized for the classrooms as no additional wall openings were permitted. The walkways within the exterior grounds were maintained and an expansive outdoor playground was integrated into the existing design, creating an outdoor space that could be commonly shared by both children and church goers. The church is serving the community throughout the week. 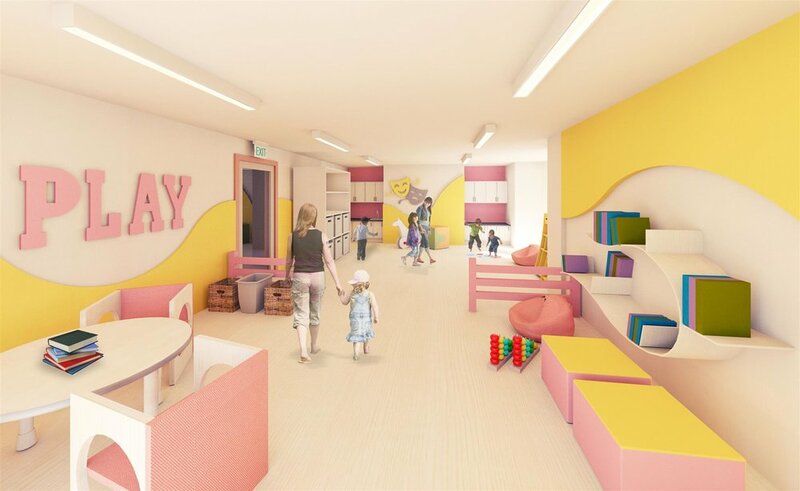 As a result, the design of the daycare needed to ensure that both the church and daycare programs exist simultaneously. Moreover, the daycare and church share several amenities within the building, including a common waiting/gathering area and washroom facilities.